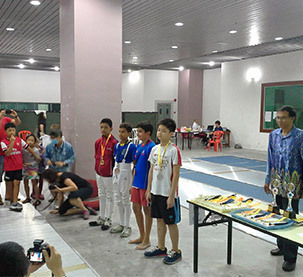 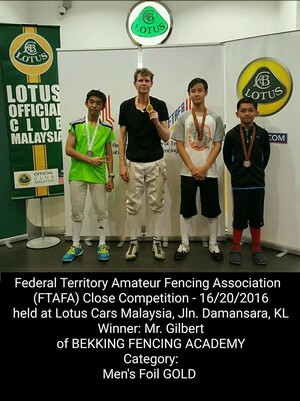 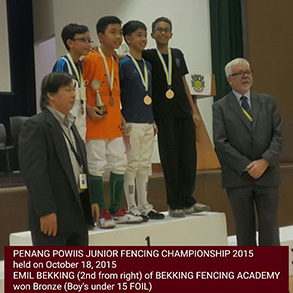 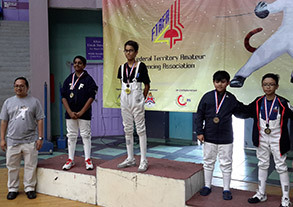 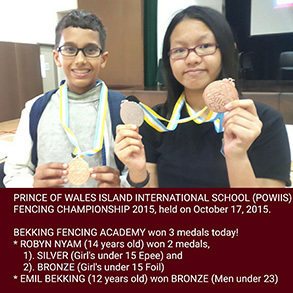 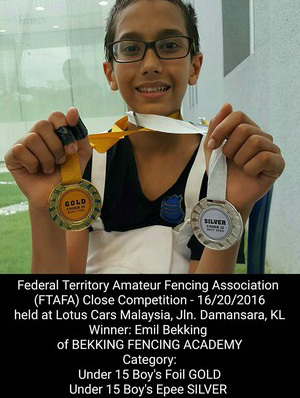 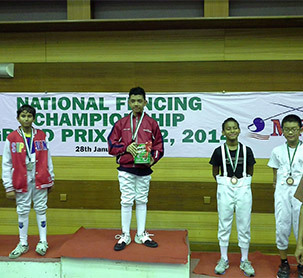 Emil’s first bronze foil U12 in National Grand prix 2015 circuit among established fencers. 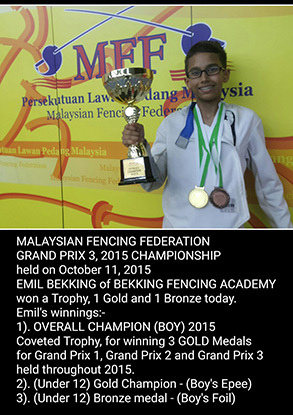 Emil congratulations last year silver now gold in 2015 Young stars. 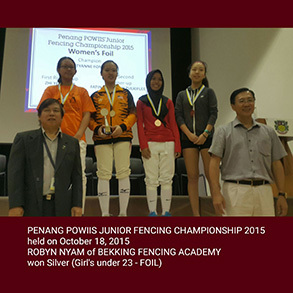 Robyn’s second appearance in the young stars, last year bronze now in 2015 gold congratulations. 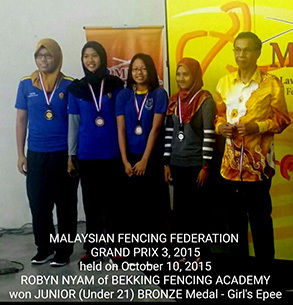 Second Grand Prix U12 2015 Epee Gold Again congratulations. 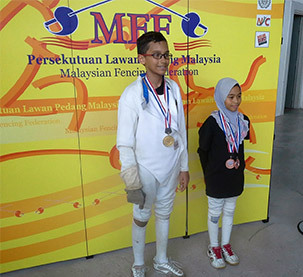 Emil after winning Silvers and Bronze medals last year. 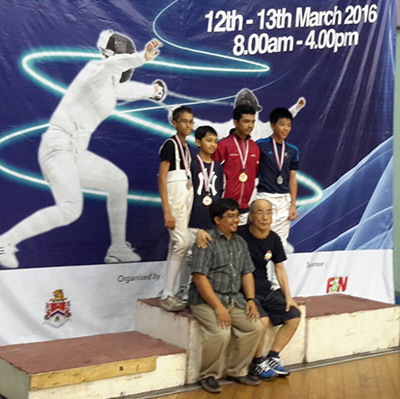 Emerged as winner in Epee in the first Grandprix of the year under 12 this year, congratulations. 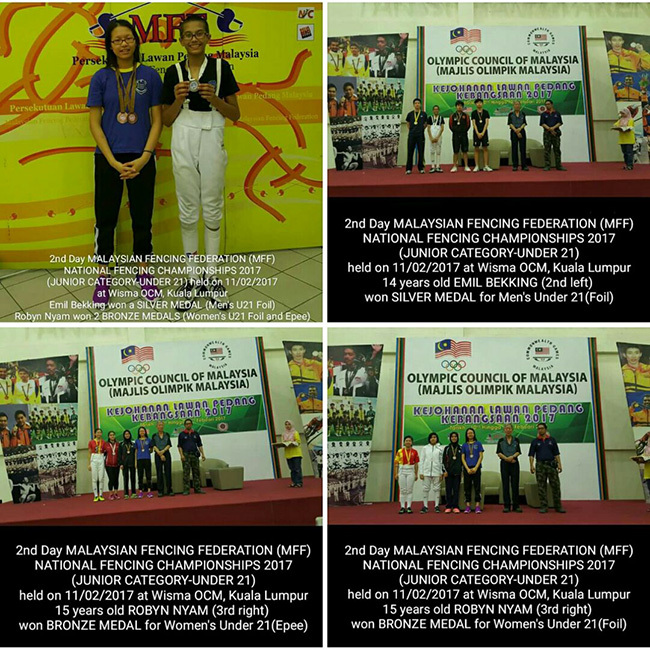 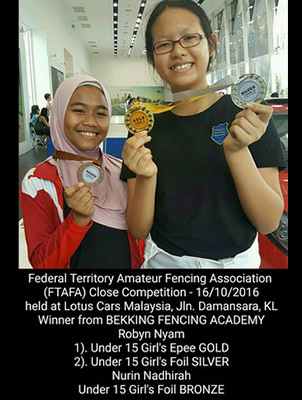 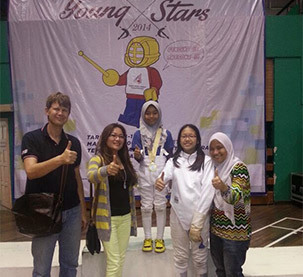 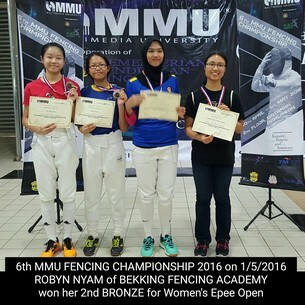 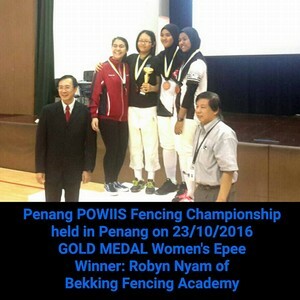 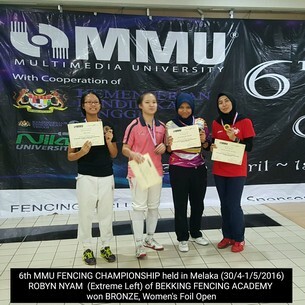 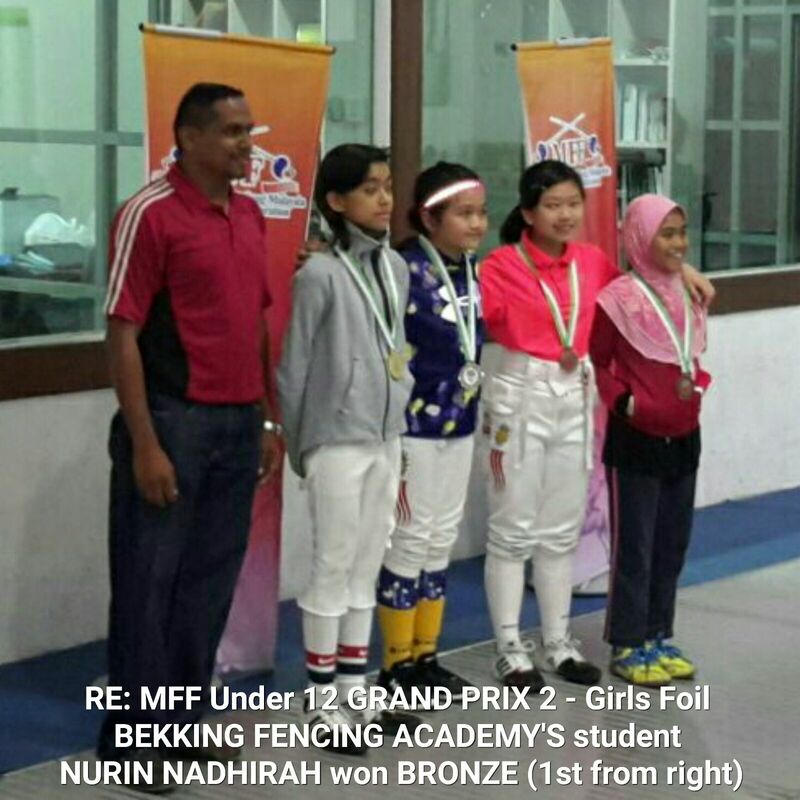 Nurin was good for 2 bronze in Epee & Foil, which was her first bronze for foil in the Grandprix circuit. 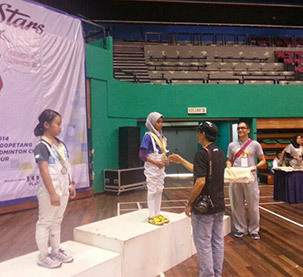 We hope she earns more medals in a different color. 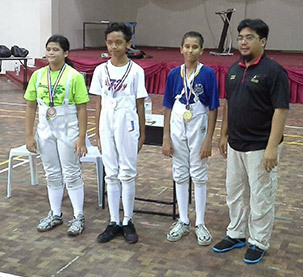 Selangor Youth November 2014 open under 12 Bronze for Emil. 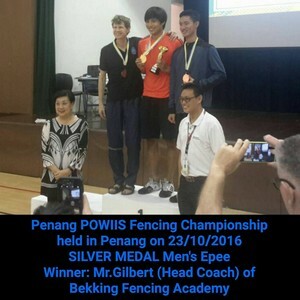 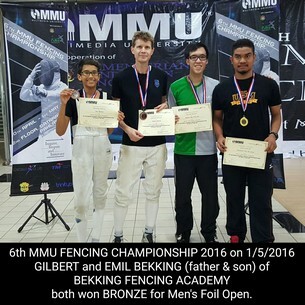 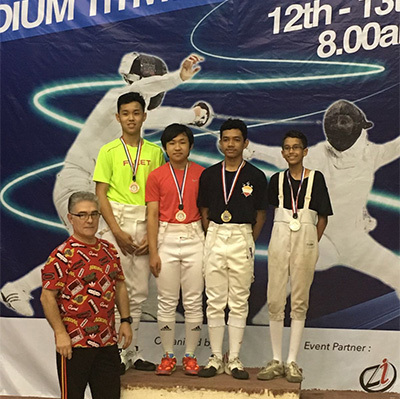 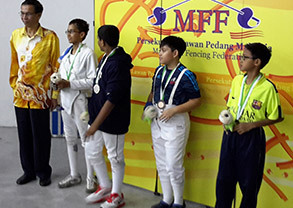 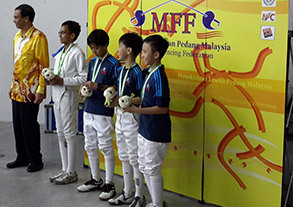 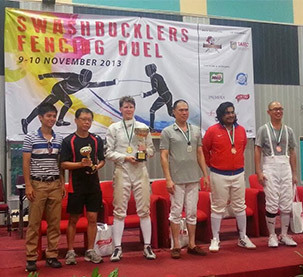 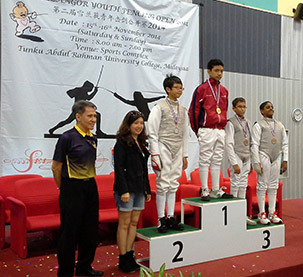 The Swashbucklers Fencing Duel, an annual epee fencing competition organised by Swashbucklers Fencing (SunwayMas), took place at Tunku Abdul Rahman University College (KTAR). 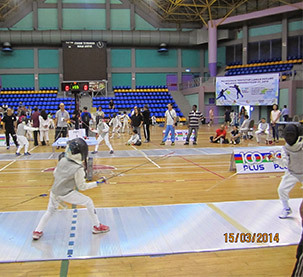 The competition brought together fencers from five participating countries. 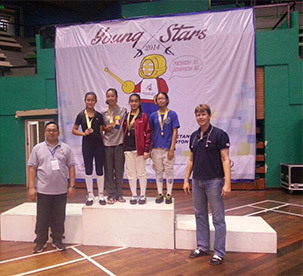 This year, the Veterans' category (Men and Women) was included for the first time. 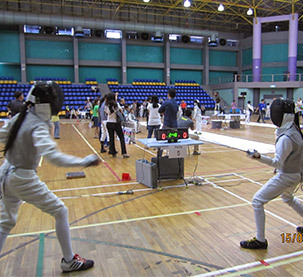 To qualify for this category, fencers had to have a birth year before 1973 (or age 40 and above). 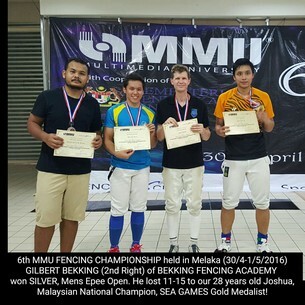 Our founder and trainer, Gilbert Bekking, emerged the victor of the Veterans' category, to clinch the Gold Medal. 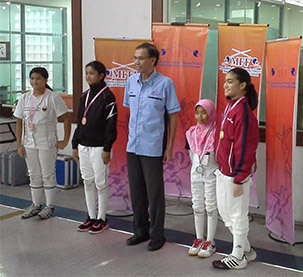 Robyn on the right in her first competition, she managed after hard fighting to grab the bronze Medal in Epee. 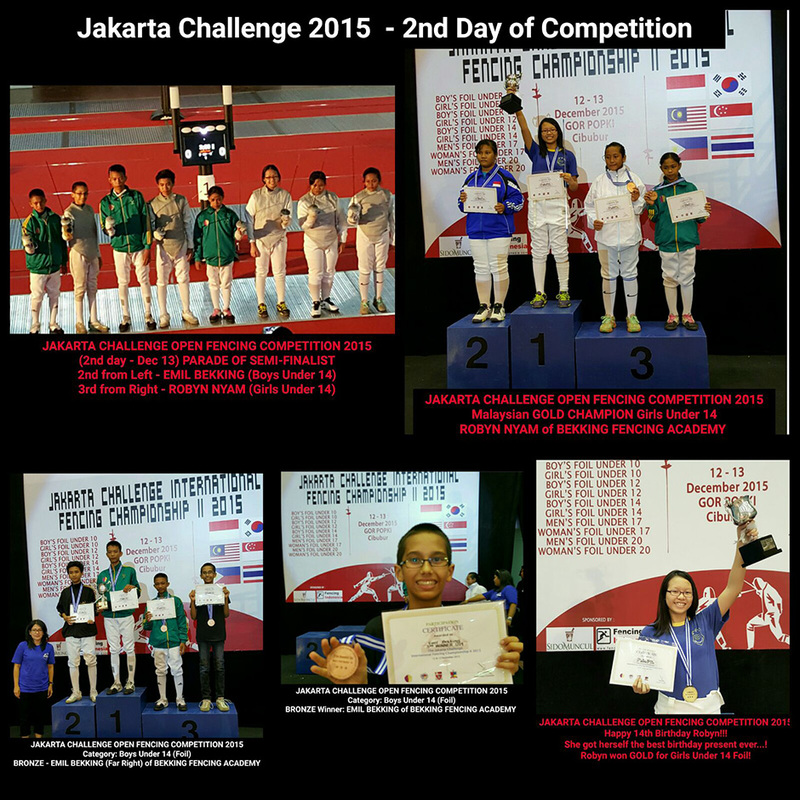 Second National Grand Prix 2014 February. 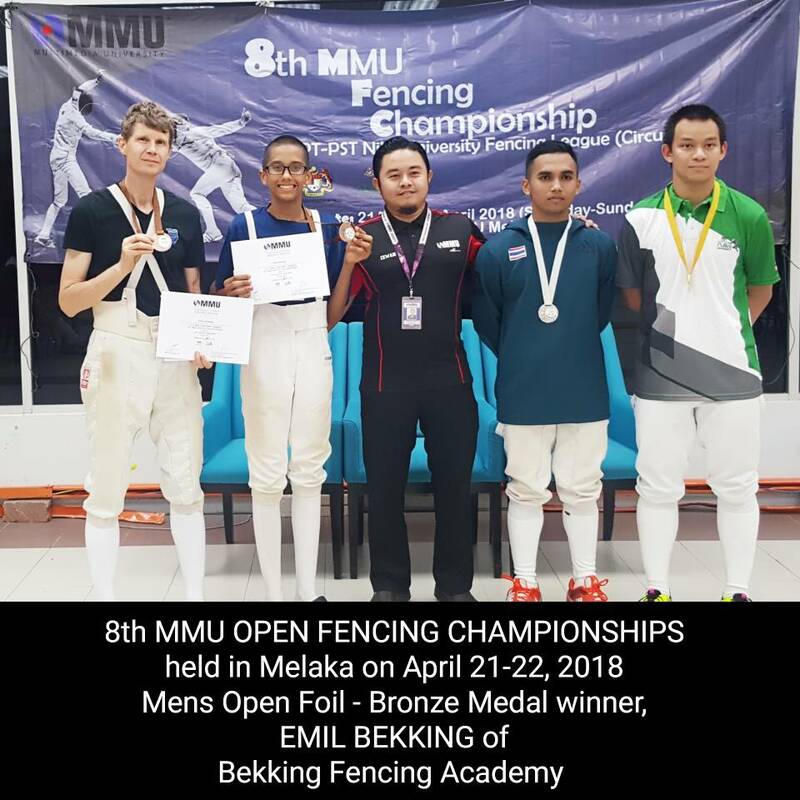 Emil now Silver great improvement. 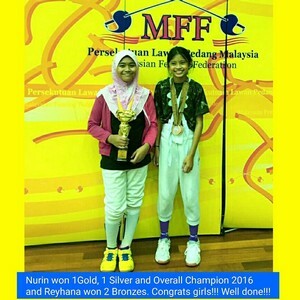 Nurin got her first gold, well done. 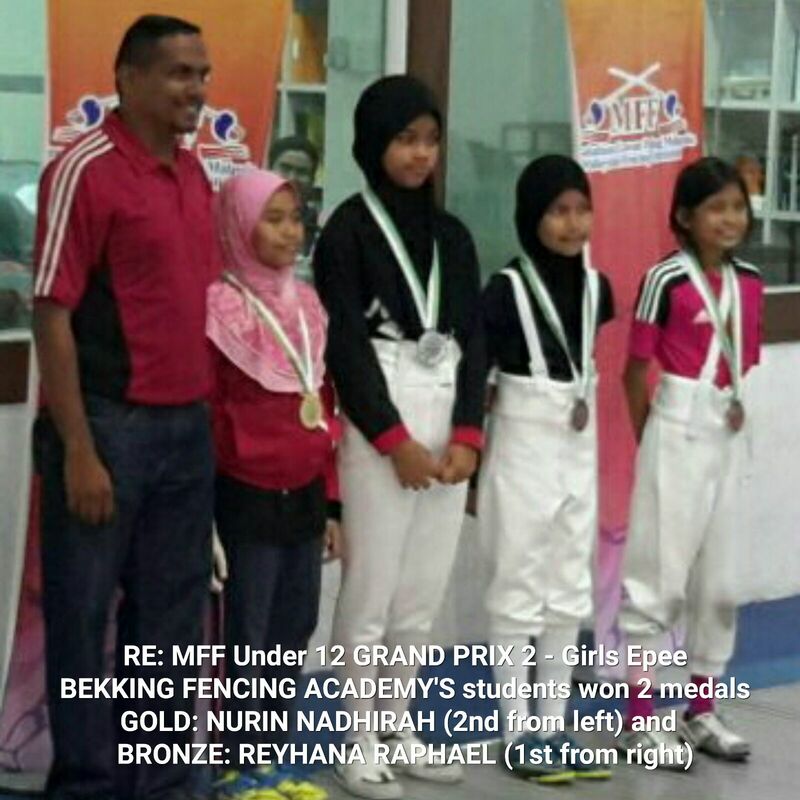 Silver, Silver and Bronze for our fencers, Well done, Robyn, Nurin and Emil. 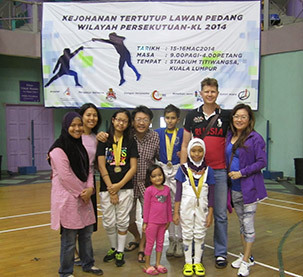 Proud fencing parents with there medal winning children. 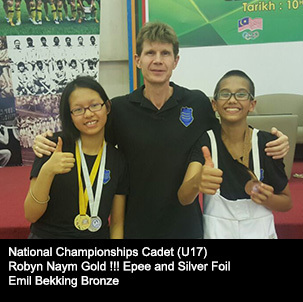 To the right head coach Gilbert Bekking with assistant Strength coach Alice. 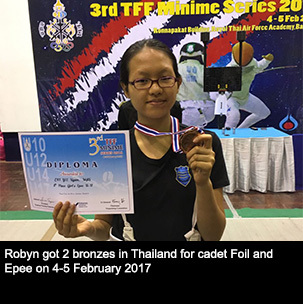 Robyn happy with her second bronze. 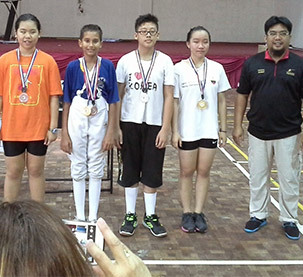 Our medal winners at the Young Star 2014 competition. 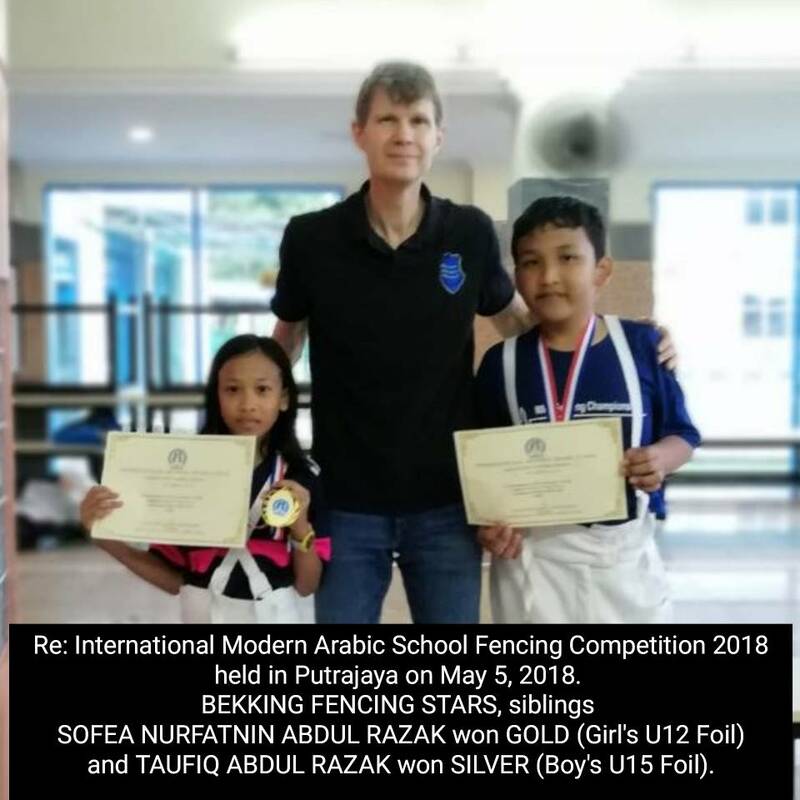 I'm happy to share my good news. 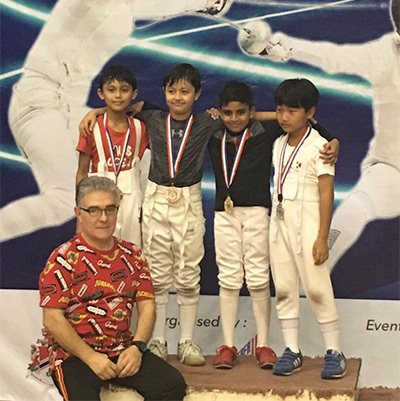 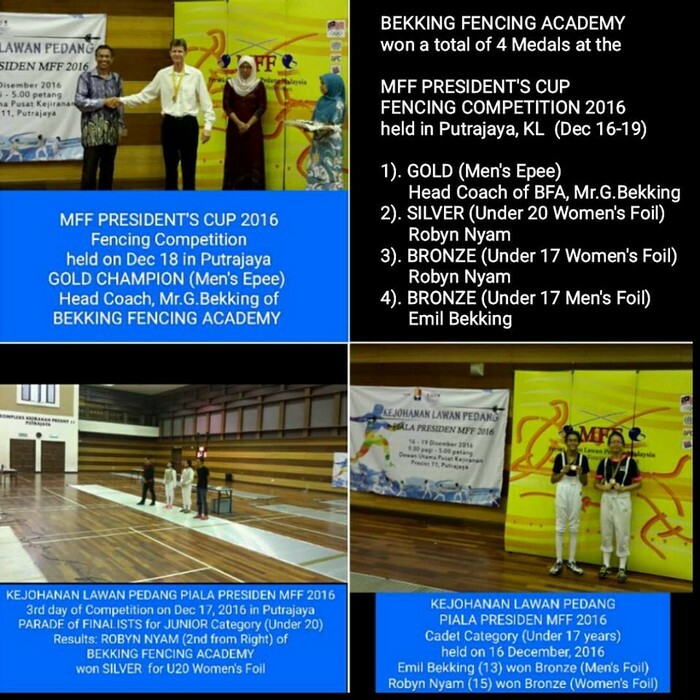 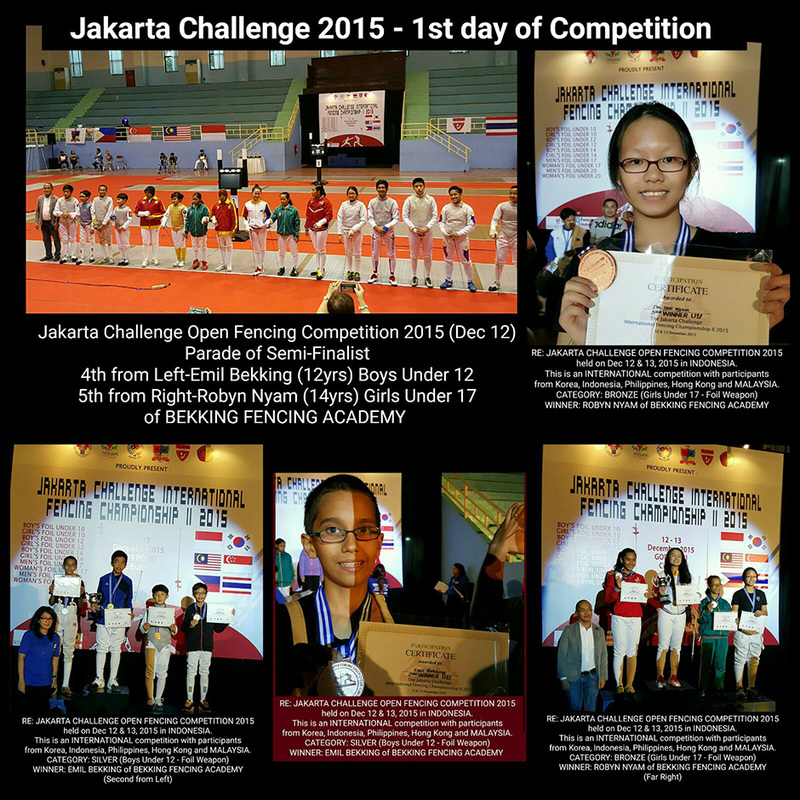 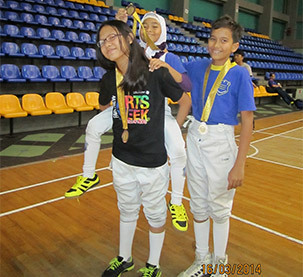 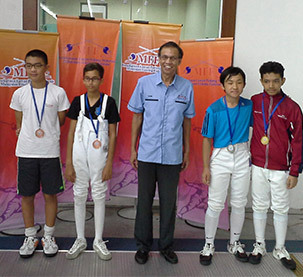 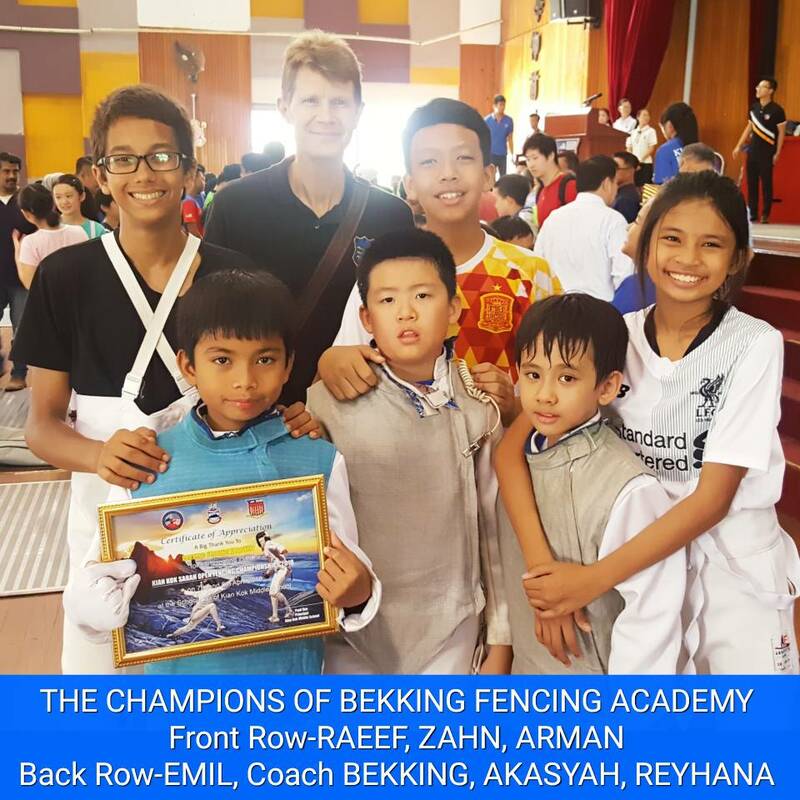 Yesterday BEKKING FENCING ACADEMY participated in the 2nd Setiabudi Primary Under 14/12/10/8 Fencing Tournament organised by I-Fencing Centre on June 28, 2014. 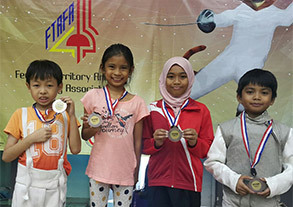 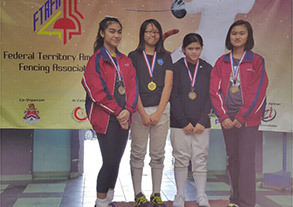 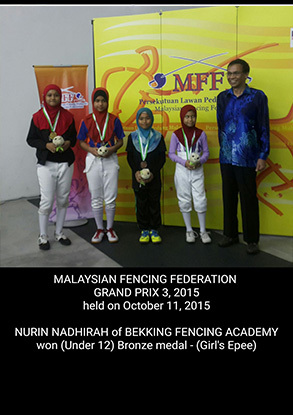 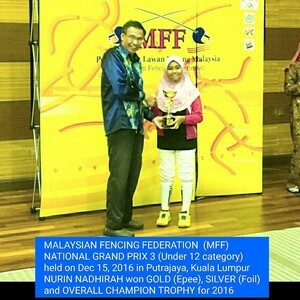 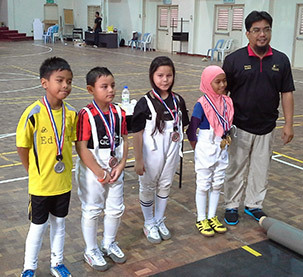 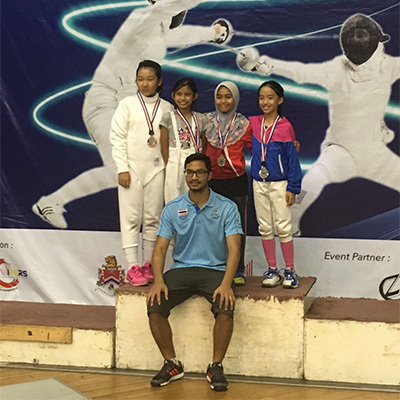 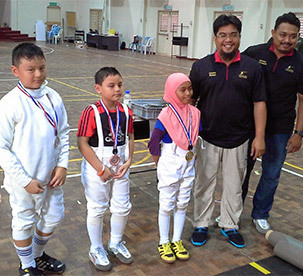 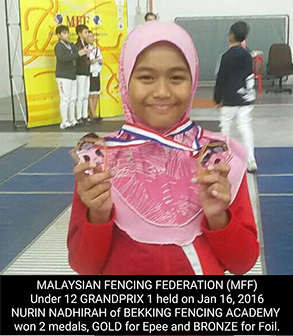 NURIN NADIRAH won 2 GOLD MEDALS for Epee under 10 and Foil under 10. 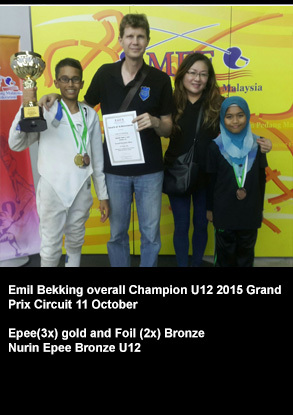 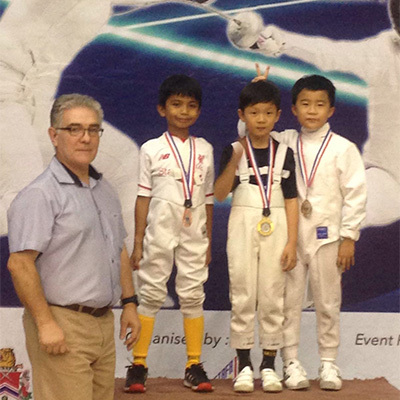 EMIL ARIS BEKKING won 2 medals - GOLD MEDAL for Epee under 12 and BRONZE MEDAL for Epee under 14.